Sword Art Online is one of the most popular anime released last year, thanks to the combination of its lovers and haters (critiques) who watched the series. And now the most awaited and anticipated sequel will finally be aired this year. That’s right guys, I’m talking about Sword Art Online Season 2 a.k.a Gun Gale Online (GGO) / Phantom Bullet Arc. Release date has finally been confirmed and it will be this year. Kirito will once again go back into the world of VRMMOPRG, but this time in a different game and genre. Check out more details about SAO 2 GGO, watch its teaser trailer and see its confirmed release date below. UPDATE: Sword Art Online II is was recently released! Episode one is up for the grabs! Sword Art Online II (Season 2) is the sequel of the popular anime Sword Art Online. Kirito will continue his VRMMOPRG journey but this time in a different game and genre. Many of us where expecting that the sequel will be called “Gun Gale Online” since “Sword Art Online” is really not appropriate in the Phantom Bullet Arc. Heck they won’t be using swords anyway. 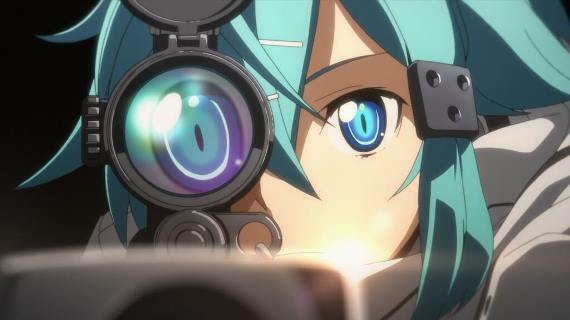 Many fans were debating whether the main character or protagonist of the story is still Kirito or not, since the avatars are female snippers. But it is still Kirito using a female character, and this is not really a weird scenario, since there are lots of male online players who opt for a female avatar or character when playing MMORPGs. Even today, and I am sure you will agree with me. But we are not certain whether Asuna and other characters will be joining Kirito’s journey in the world of Gun Gale Online. One thing is certain is that Kirito will be accompanied by another character named Shino or Shinon. And instead of swords and magic, they will be using sniper guns and armor piercing bullets in this game. 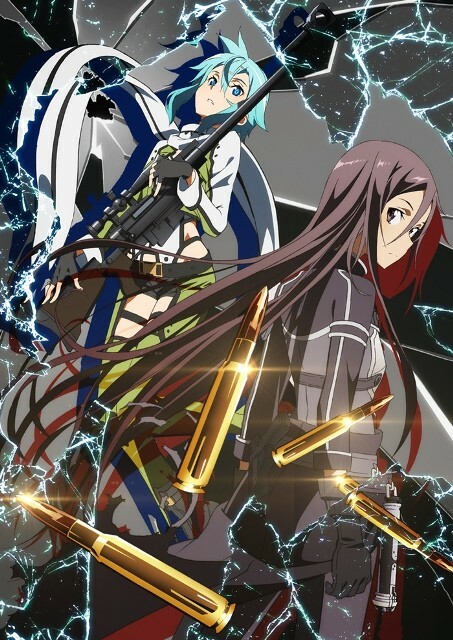 Sword Art Online II / Gun Gale Online Phantom Bullet Arc was announced during the recently released special episode called “Sword Art Online: Extra Edition” last December 31. Watch the preview trailer below. The preview trailer above shows us that SAO II will start this 2014, but there is no month or date as to when the series will start airing. After researching, a Facebook fan page called “Gun Gale Online / GGO” said that the series will start airing on April 2014. There was also a rumor that it will be aired starting March. But it was an unconfirmed rumor. Hopefully, if nothing goes wrong and no delays will happen, the series will start airing on April 2014. I’ll try to do more research as we have to confirm what specific date will the SAO II Episode 1 be aired. I’ll post update once new information comes up regarding Sword Art Online II Release Date. Plants vs Zombies 2 Release Date In July 2013, Finally!